Mobile payments aren’t the technology of tomorrow. They are here and now. In the country of Kenya, some 98% of the population uses their phone to send and receive money. 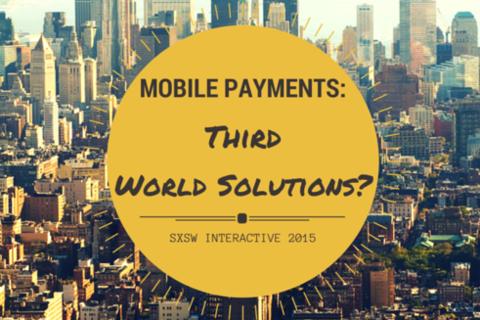 So why are we still waiting for a successful mobile payments platform in the U.S.? Developing countries with less advanced technology are far outpacing us in mobile payments adoption, while we’re still tied to plastic credit cards and banks. The mobile payments industry in the U.S. is fragmented as companies battle for the dominant solution. Mozido VP of Engineering Felipe Fernandes will reveal why mobile payments is working in other countries, what barriers to adoption we’re encountering in the U.S., and what a realistic roadmap for this technology looks like. Specifically, Felipe will discuss the ‘unbanked’ as a vital, influential factor for determining how mobile payments will play out and how the technology will develop. Felipe inspires innovation for all Mozido products across financial services and mobile marketing verticals. Felipe navigates through regulations in the U.S., Mexico, Caribbean and other jurisdictions to define compliant financial services, loyalty and marketing solutions. He directs user experience (UX) and strategic product management resources for the development of core Mozido services. He engages with global clients to spearhead solutions that are catered to their market and more importantly their users. Prior to joining Mozido, Felipe was the manager of financial services at Affinity Mobile, where he was responsible for overseeing Affinity’s MFS platform deployment for Trumpet Mobile (U.S.-based mobile phone company) by coordinating offshore developers to support system updates during platform hardening phase. Felipe Implemented requested updates as dictated by MFS program bank to comply with U.S. federal regulations.